Health Secretary Jeremy Hunt has ordered an investigation into allegations of hygiene failings at some of the UK’s biggest poultry processing plants. The move comes in response to reports in the Guardian, which used undercover footage, photographic evidence and information from whistleblowers to highlight alleged flouting of rules to prevent chicken being contaminated with the deadly campylobacter bug. The reports focus on factories belonging to the 2 Sisters Food Group and Faccenda Foods, both of which have refuted the allegations. 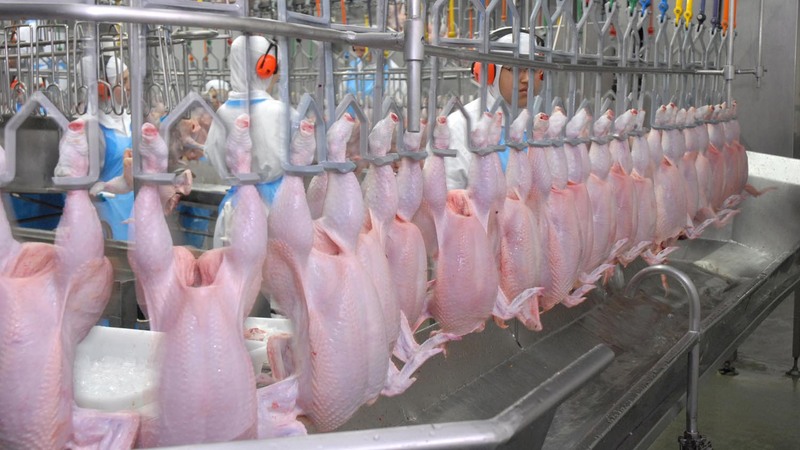 The report highlighted specific incidents identified in the last month, including a factory floor flooded with chickens’ guts in which the bacteria can flourish and carcasses coming into contact with workers’ boots then returned to the production line. The Food Standards Agency initially said, following an investigation, it was ‘satisfied appropriate action was taken at the time’. Commenting on one plant, where it said a problem was caused by a mechanical fault, it said a recent audit showed it was ‘fully compliant with the regulations’. A spokeswoman for Mr Hunt said an FSA review of the evidence found ‘no risk to public health’. “We want the public to feel reassured that the food they buy is safe,” she said. Facilities belonging to 2 Sisters Food Group at Llangefni, Anglesey, and in Scunthorpe, Lincolnshire, will be checked, according to the BBC. The FSA confirmed it would send auditors in almost immediately and that they would be reviewing CCTV of activity on the factory floors. “We don’t think there was a risk to public health from the evidence we’ve seen, but we want to do a full safety audit,” the agency said. Three of the UK supermarkets - Tesco, Sainsbury’s and Marks and Spencer - have launched investigations into their chicken supplies following the reports, according to the Guardian. Shadow Farming Minister Huw Irranca-Davies said: “These are serious accusations of malpractice in the poultry slaughter and processing sector. He has written to FSA chief executive Catherine Brown, expressing concern that the agency’s initial inquiries had not been through enough and seeking assurance that it would conduct a fuller investigation and publish the results. The FSA has also come under fire for not yet naming and shaming companies that fell short of standards required to prevent campylobacter contamination. The full responses of the companies affected by the allegations can be viewed here.